What happens when a mother and her daughters are separated, and who do they become when they believe it might be forever? Dinah Jefferies writes beautifully!!! Her second novel The Tea Planter’s Wife is a treat for the readers – a beautifully flowing narrative, excellent writing style, enthralling characterisation, depth, love, pain, redemption and everything else one looks for in a book. Having read that, I had to read her first, The Separation. Very graciously Dinah had the novel sent across and once I started reading, there was no way I could put it down. 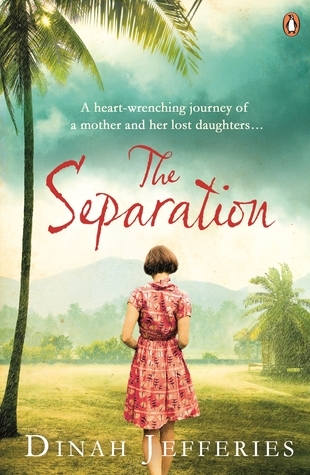 Set in Malaya and England in 1950s, The Separation is a heart-wrenching tale of a family separated. Emma and Fleur Cartwright leave Malaya with their father. While Fleur is too young to comprehend what is happening, eleven year old Emma wonders why their exuberant mother Lydia, needs to be left behind. With nothing more than a few basics, a photograph of Lydia and a bagful of vibrant memories of Malaya and the effervescent Lydia, Emma along with Fleur and their father, embarks on a journey to cold and grey England. When Lydia returns after having cared for a sick friend, her home is empty. A distraught and broken Lydia tries to piece together the puzzle and find her missing family. Oblivious to the reasons that made her husband take this drastic step, she traverses the length and breadth of insurgent Malaya. Marred by war and the Japanese invasion, the new Malaya is fighting to break the shackles of colonisation. The political instability and the animosity towards the whites, stand as obstacles in Lydia’s path. Her ordeal is unfathomable and her perseverance and resilience inspire. Far away in England, Emma fights her own battles. The pain they feel for each other transcends every emotion. Dinah has a way of letting words speak for themselves. All her characters reach out and connect. 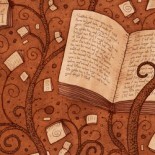 As the pages turn, the intrigue increases. Characters such as Jack, Adil, Veronica and Maznan support the plot and add to the suspense and mystery. Dinah’s thorough historical research adds to charm of the book. The descriptions are fantastic and appealing, especially the plantations in Malaya. Shades of Colonialism make the story appealing. The Separation, just like The Tea Planter’s Wife, is a must read. The novel finishes, but the trance like connection with Lydia and Emma stays. The impeccable and deft writing style, the well constructed and deep plot, the thorough research and authentic descriptions………. they all make this book a delight to review and read. Dinah Jefferies’ new book, The Silk Merchant’s Daughter is due to release early 2016. This entry was posted on November 18, 2015 by artikabakshi in Book Reviews, Fiction, Historical and tagged Dinah Jefferies, The Separation, The Tea Planter's Wife.